Q? What is a pediatric dentist? A. A pediatric dentist specializes in the oral health care needs of children from infancy through the teenage years. The education of a pediatric dentist involves two to three years of advanced training after four years of dental school. The pediatric specialist has additional training in behavior guidance and techniques such as sedation that can be used to comfort an anxious child patient. When children have multiple cavities at a very young age, have special needs or are not ready to accept dental care in an office setting; the pediatric dentist has learned to complete treatment in the operating room. Instruction in growth and development, special treatment techniques for primary teeth, orthodontics, prevention, and treatment of patients with special needs are also areas of study. Q? What is a board-certified pediatric dentist? A. 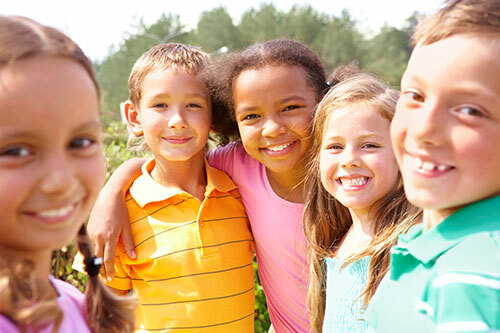 The American Board of Pediatric Dentistry is a specialty agency that administers a very rigorous set of exams to qualified pediatric dentists. At present, less than half of pediatric dentists are board certified. Q? At what age should I bring my child to the dentist? A. The American Academy of Pediatric Dentistry, the American Academy of Pediatrics and the American Dental Association recommend that a child establish a “dental home” when the first tooth erupts or by age one year. This is a perfect time to discuss brushing, nutrition and diet, teething, growth and development and thumb or pacifier habits. Q? At what age will my child’s first teeth erupt? A. The first tooth usually erupts in the lower, front area of the mouth at ages six to ten months. There is a large range here, so eruption at age four months or as late as twelve months would still be considered normal. The permanent teeth generally erupt at age six years. Q? When will my child lose their first tooth? A. Most children lose their first tooth at age six years. Some don’t lose one until age eight, and that is still normal. Q? Why are the primary or baby teeth important? The primary teeth also serve to hold the proper amount of space for the permanent teeth. If baby teeth are removed or lost early, the permanent teeth can shift and cause orthodontic problems. Many times an appliance called a space maintainer is used to prevent the shifting caused by early loss of primary teeth. Q? How many teeth does a child have? A. Children have 20 primary or baby teeth and 32 adult teeth. Sometimes children have missing or extra teeth. This is a trait that runs in families. In addition, some individuals do not have all of their third molars (wisdom teeth). Q? How does a child get cavities? A. Sugar in a child’s diet from soda pop, sweets, or candy combines with the bacteria in the mouth. The sugar is turned into an acid that attacks the hard enamel surface of the tooth. Eventually, a small hole forms. This “cavity” will not heal itself and usually needs to be treated by the dentist. Q? What is Early Childhood Caries (Nursing Decay, Bottle Decay)? A. After a tooth erupts, if children sleep with mother’s milk, cow’s milk or juice on the teeth at night, the milk is turned into an acid by the bacteria in the mouth. At night, the saliva flow in the mouth is slowed down. As a result, the acid bathes the teeth all night. Eventually the hard enamel surface becomes decayed. It is not unusual to find six to ten cavities by age two years, six months. The problem can occur if the child has milk or juice on the teeth even if the bottle or sippy cup has been removed. lf nursing must occur at bedtime or in the middle of the night, wipe the baby’s gums and teeth with a damp washcloth or gauze. Weaning should occur by one year. Q? How can I reduce my child’s risk for developing cavities? A. Diet is important. Try to avoid foods, snacks, and liquids that are high in sugar content. Avoid foods and snacks that are sticky. Brush or wipe off the child’s teeth twice daily, especially at bedtime. Avoid foods and liquids other than water from one hour before bed and through the night. Make sure that your water has fluoride or obtain a fluoride supplement. Floss when teeth touch each other. Have sealants placed on the permanent molars. Schedule dental visits every six months. Q? What is pulp therapy or nerve treatment? A. The nerve of the tooth is called the pulp. In children, decay can spread quickly to the pulp. When this occurs, infection can develop. Commonly, the upper part of the infected nerve is removed and medication is placed in the tooth. This is called a pulpotomy. When the entire nerve is infected, all of the pulpal tissue is removed and replaced with medication. This is called a pulpectorny or root canal procedure. A crown is generally placed on teeth that receive either of these procedures. Q? When will my child be ready for braces? A. There is no specific date or time for orthodontic treatment. Every child is different. The teeth erupt at different ages and each child’s facial structure grows at a different rate. Our doctors take measurements at each visit and monitor the child’s growth and development. Some children need orthodontic care as early as age five to seven. Most children who would benefit from orthodontic care have braces from age ten to thirteen, but each situation is different and should be evaluated individually. A. Dental x-rays are safe, but should not be taken in a haphazard manner. We use precautions to reduce radiation. These include the use of lead aprons, thyroid collars and new digital systems that reduce radiation. Our machines are calibrated regularly. X-rays are valuable in detecting decay, evaluating injured dental structures, evaluating growth of the jaw structures in preparation for orthodontics, surveying erupting teeth and for diagnosing bone diseases. Q? What causes my child to grind their teeth? A. Grinding the teeth (bruxing) commonly occurs in children until age six to seven years. Many theories exist as to the cause of the habit. Most agree that it is due to stress. This stress is “normal.” Sometimes events that adults do not consider to be stressful are stressful to children – learning new rules, getting dressed some days, school, etc. Newer theories relate to airway problems and sleep apnea. Many youngsters will grind their teeth until the permanent molars erupt at age six years. No treatment is needed during this phase. Most will outgrow the habit, but if grinding persists once the lower permanent teeth erupt, a mouth guard can be made to protect the new teeth. Q? When should my child stop sucking their thumb or pacifier? A. Most children will stop this habit by age four years. Positive reinforcement is helpful in getting the child to stop sucking. If the habit continues after the permanent teeth erupt, it can cause problems with the growth and development of the oral structures and the alignment of the front teeth. At times, a dental appliance or thumb guard can be used to treat the habit. Q? What dental problems do adolescents have? A. Many teenagers do not brush their teeth properly. They often miss the gums, and this causes inflammation or even gum disease. Proper placement of the brush at the gum line is helpful. Fluoride rinses are also recommended. Adolescents tend to consume sports drinks. These contain sugar and are acidic – a combination that promotes cavities. Water is a better source of hydration. Teens are also very active in sports and should wear mouth guards. Unfortunately, oral tobacco use is common in adolescents. Regular dental examinations are important in stressing prevention and monitoring oral structures in order to detect early cancerous changes. Finally, tongue piercing can cause infection and damaged teeth. Again, regular dental care is helpful in detecting problems. Dr. Joshua Leavitt is a pediatric dentist in Pickerington, OH serving infants children and teens. The office also serves the surrounding cities of Reynoldsburg, Pataskala and Canal Winchester. Copyright © 2019 Pediatric Dentistry of Central Ohio and Smile Savvy. All Rights Reserved.